When we see lines and wrinkles in the faces of others, we naturally assume the person is either tired, unhappy, or just aged. BOTOX® Cosmetic is the first and only prescription product approved by the U.S. Food and Drug Administration to temporarily improve the appearance of frown lines and crow’s feet in adults. BOTOX® is safe, reliable, and is used by millions of women and men to restore their youthful faces and smooth wrinkles away. BOTOX® is injected with a fine needle into the facial muscles that cause wrinkles and fine lines; the treatment relaxes the muscle, smoothing away the wrinkles that have developed over the years. Within 48 hours after your BOTOX® treatment, the wrinkles begin to melt away, and in seven to 10 days, you’ll notice the smoothness and rejuvenation in your face as the fine lines and frown lines no longer appear. BOTOX® treatments last from 3-6 months, and with repeated BOTOX® treatments, fine lines and wrinkles appear less strongly than before. 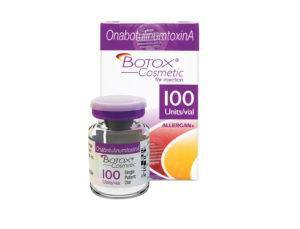 Most BOTOX® patients seek treatment 3 to 4 times a year for maintenance. Our Raleigh and Cary patients rave about the results of their BOTOX® treatments, and about how easy the treatments are. When wrinkles are not a result of underlying muscle activity, they are a result of the loss of skin and tissue structure. In this case, filling of the tissues can re-inflate and revitalize the skin, removing wrinkles or reestablishing youthful contour. At Zenn Plastic Surgery in the Raleigh and Cary area, Dr. Zenn utilizes the latest Hyaluronic Acid (HA) fillers to remove wrinkles and produce a more youthful face. How do HA fillers work? The listed HA fillers are all non-surgical treatments approved by the U.S. Food and Drug Administration (FDA) for their safety and effectiveness. They are all clear gels and are made up of hyaluronic acid, a natural complex sugar that bolsters skin elasticity, providing a smooth and supple appearance. When you hear “acid,” it may sound frightening; however, on the contrary, hyaluronic acid is part of your skin. Large amounts are found within the cells of the human body, and it is this acid that gives skin its youthful appearance, glow and moisture. We lose hyaluronic acid over the years as we age and facial muscles come closer to the skin’s surface, resulting in smile lines and increased wrinkles. This is the reason why the most effective skin fillers include hyaluronic acid, in an attempt to replace and restore the natural hyaluronic acid of your skin. The four fillers listed differ in their composition which gives them unique characteristics which make them valuable for different uses in the face. Both JUVEDERM® and VOLLURE® are formulated to be soft enough to place directly under the skin near the wrinkle, effectively eliminating it while avoiding visible or palpable lumps. They can reinflate soft tissues as well but do not have the structure to support larger volume changes. JUVEDERM® has been around longer with a proven track record. The Durability of results varies depending on the area of the face and how fast each Raleigh and Cary patient breaks the HAs down. 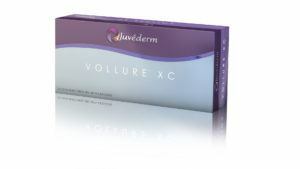 VOLLURE® is a newer formulation that is smoother and lasts longer than JUVEDERM®. 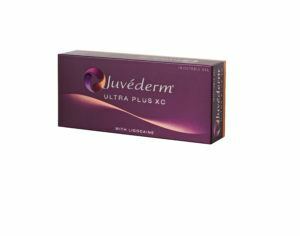 JUVEDERM®, on average, lasts 4 to 6 months while VOLLURE® can last up to 18 months. The lips are a particularly difficult location to maintain HA fillers, likely due to the constant movement and excellent blood supply. VOLBELLA® was specially formulated just for the lips and is now the standard lip filler. While other HA fillers may only last a month or two in the lips, VOLBELLA® can last six months to a year. When volume replacement is desired to counteract bone loss or fat loss in the face, a more structured HA filler is needed. VOLUMA® is the answer. Due to its density, VOLUMA® is placed deeply, near the facial bones, to naturally support and emphasize the existing facial tissues. If placed too close to the skin it would be palpable. VOLUMA® has largely replaced the use of facial implants, which had the same beneficial effects of tissue support but required surgery for their placement. 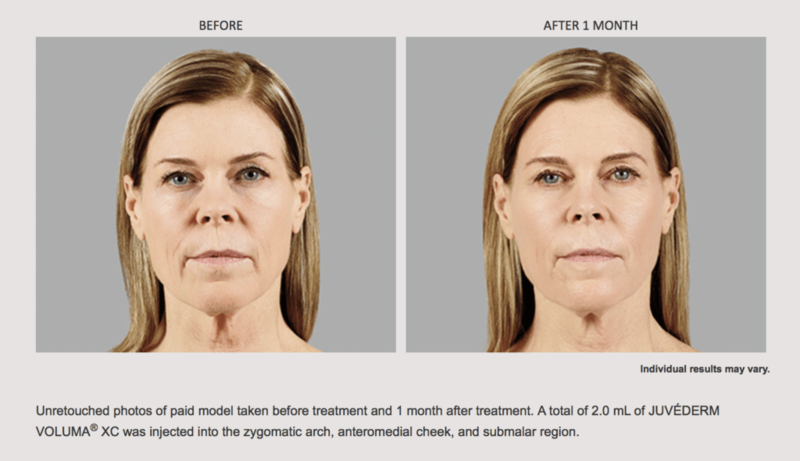 While true that facial implants can last a lifetime, VOLUMA® lasts one to two years and improves cheek fullness, nasolabial folds, and jawline irregularities in a simple office visit. Dr. Zenn has all of these tools available at your consultation to improve and even eliminate the signs of aging with the convenience of an office visit, without the downtime of surgery. Many of Dr. Zenn’s surgical patients started with fillers and BOTOX® and finally needed more change than HA fillers could provide, or Raleigh and Cary patients simply grew tired of the maintenance visits required of fillers and desired a more permanent fix. Schedule a consultation with Dr. Zenn by contacting his office in the Raleigh and Cary area at (919) 480-3885 and let the expert present your options that best address your situation and your concerns. Many women bring a friend – after all, everyone needs a “BOTOX® buddy” to share their secret with!